I’ve been back since last weekend from a three-week trip to Washington, Chicago, and New York City. It’s taken me seven days to shake off the droopiness of jet lag. 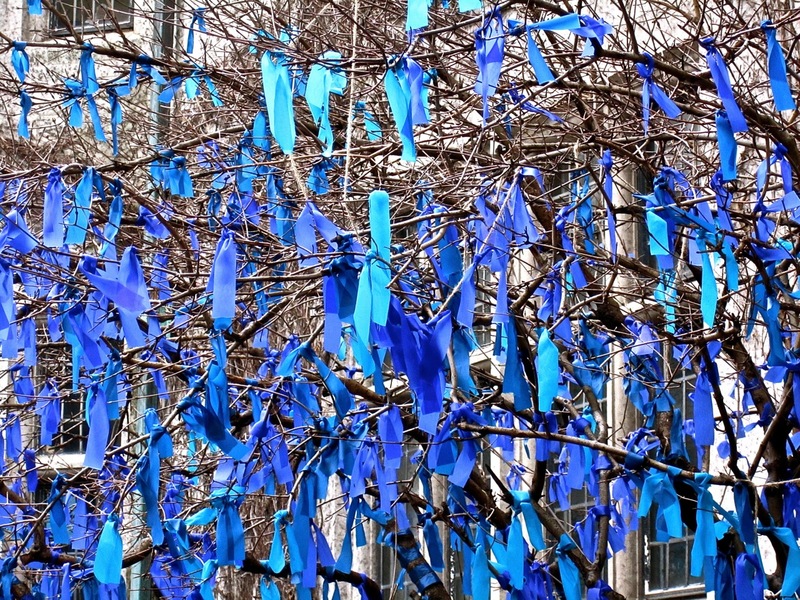 April is Child Abuse Prevention Awareness Month. You can get more information here. 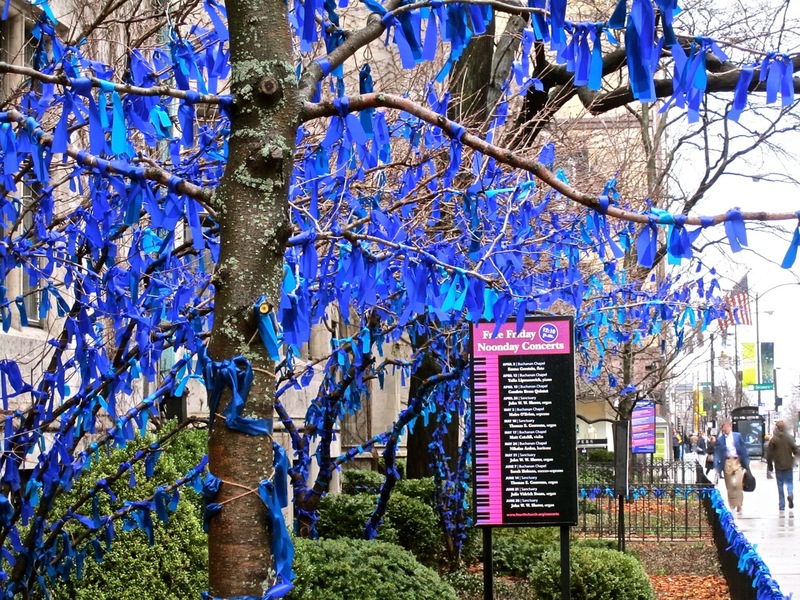 The ribbons will removed this Tuesday. 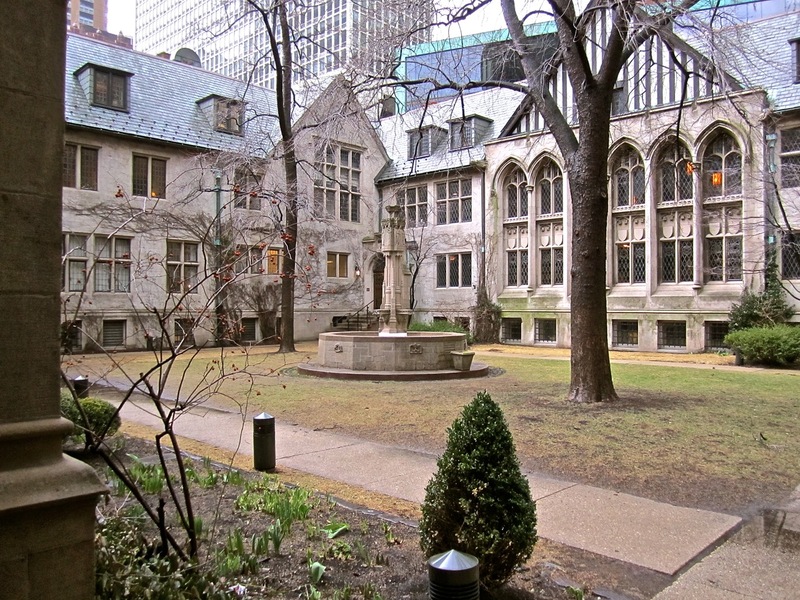 The church has a nice Gothic courtyard too — although it was still quite bare in early April. 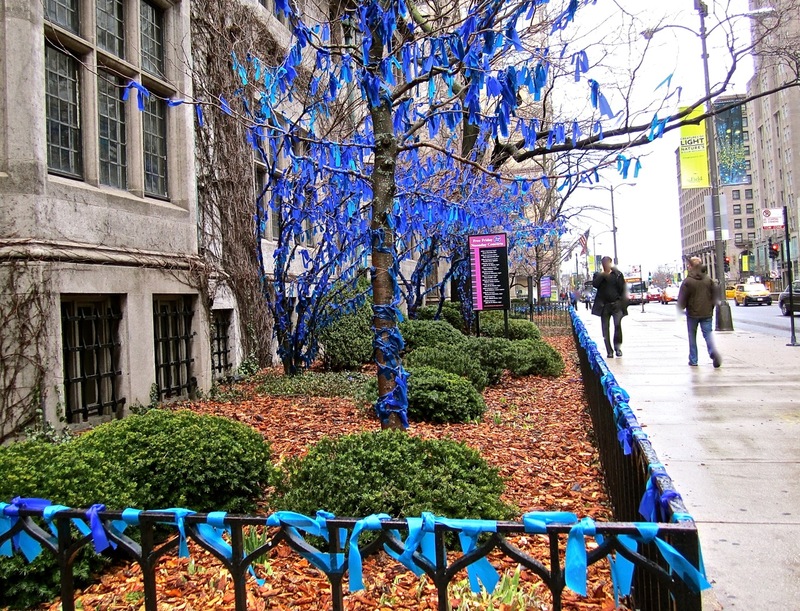 Yesterday, the last Friday in April, was National Arbor Day in the U.S. The Washington Post had an interesting article about how tree canopy density is an indicator of wealth among D.C. neighborhoods. The reasons for the disparities are complex. Thanks so much for posting the WaPo article. I missed it yesterday. So interesting and disturbing. I’ve posted it on my fb page. That residents in poorer neighborhoods would be ambivalent about or even reject trees for reasons that are, frankly, sensible from their perspective and experience is enlightening. 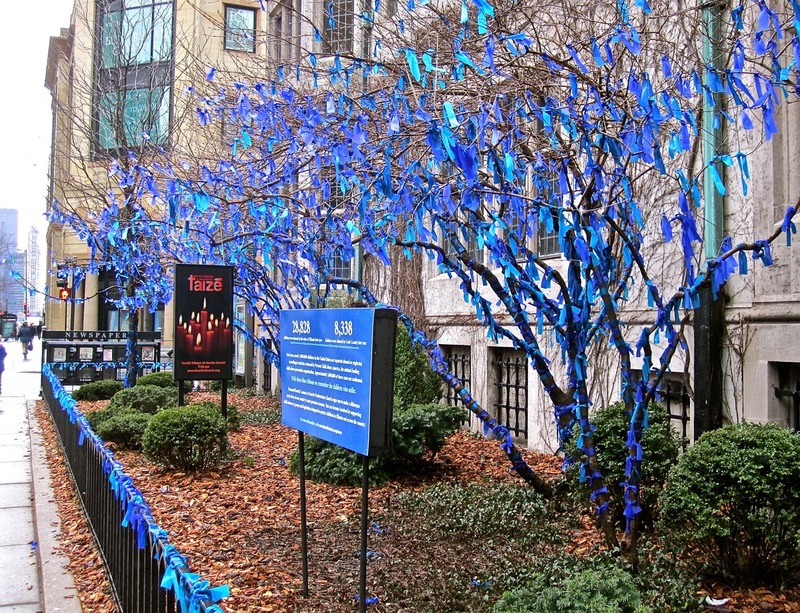 The blue ribbon trees make an interesting tribute. Thanks for mentioning the National Arbor Day. Missed it this year. Oh me too, I’m afraid. I noticed this morning when I saw that Poetry Foundation had sent me Joyce Kilmer’s “Trees” as their e-mailed Poem of the Day — yesterday.